The Guitar Wall Mount Holder by K&M is designed to hold and display guitars on slatwall making it ideal for use in your studio or shop. 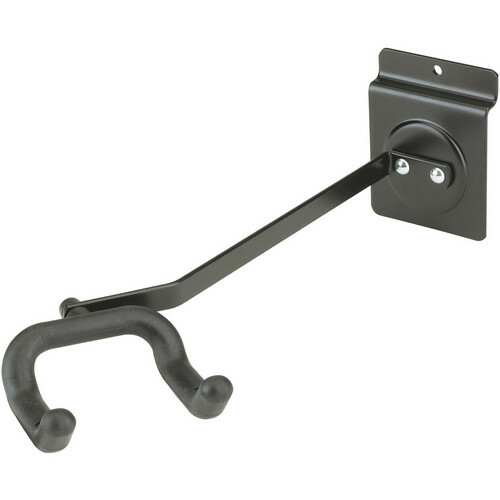 The mount extends approximately one foot from the wall and holds acoustic or electric guitars facing left. It is made of durable steel with an attractive black finish and the non-marring plastic supports provide protection when guitars rest in its arms.